The farming of foxes began in the 1880s in Prince Edward Island, Canada, when fur industry pioneers Sir Charles Dalton and Robert Oulton began raising fox pups they obtained from the wild. 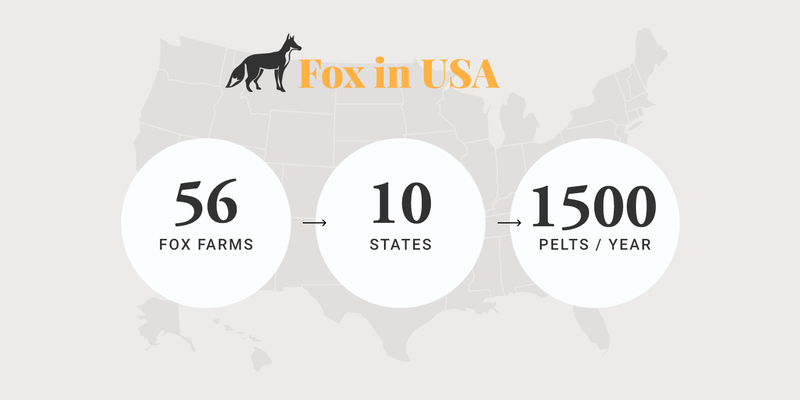 Through countless generations of selective breeding for color, size, quality of fur, fecundity, docility, mothering ability, growth rate, and litter survival, the farm-raised fox has evolved to be very different from its wild counterpart. Supported by good nutrition, housing and veterinary care, this has produced a larger, more robust animal exhibiting a much quieter temperament. Foxes are carnivores and, like mink, can be fed fish- and meat-processing by-products, effectively recycling food “wastes”. Farmed foxes can now also be fed the same food in the form of commercially produced, dry pelleted feed, which eliminates the need for freezers and the risk of illness caused by improperly refrigerated feed. Read more about Code of Practice for the Care and Handling of Farmed Fox developed by animal scientists, veterinarians, producers and animal-welfare authorities, under the auspices of the National Farm Animal Care Council (NFACC). Fox production in North America is quite small in comparison with mink. 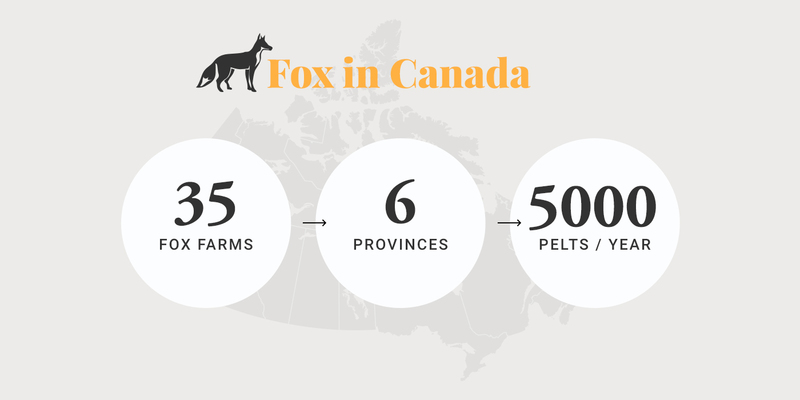 Today, there are about 35 fox farms in Canada, producing some 5,000 fur pelts annually. Production is somewhat smaller in the USA. Finland is the world's leading fox producer, accounting for as much as half the total world production of about four million fox pelts annually.